I received a new book in the mail the other day. it is called LICENCE EXPIRED - THE UNAUTHORIZED JAMES BOND and is edited by Madeline Ashby and David Nickle with an introduction by Matt Sherman. 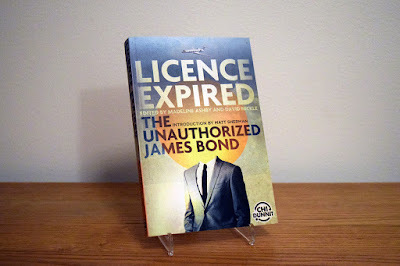 I have been collecting James Bond books since I was 12 years old but during the last few days before Christmas I got my hands on what might just be of of the rarest James Bond books coming out this year. And to be honest I do not know which leg to stand on here (as we say in Sweden). Should I be happy or sad? I am happy because I now have a new book in the collection. 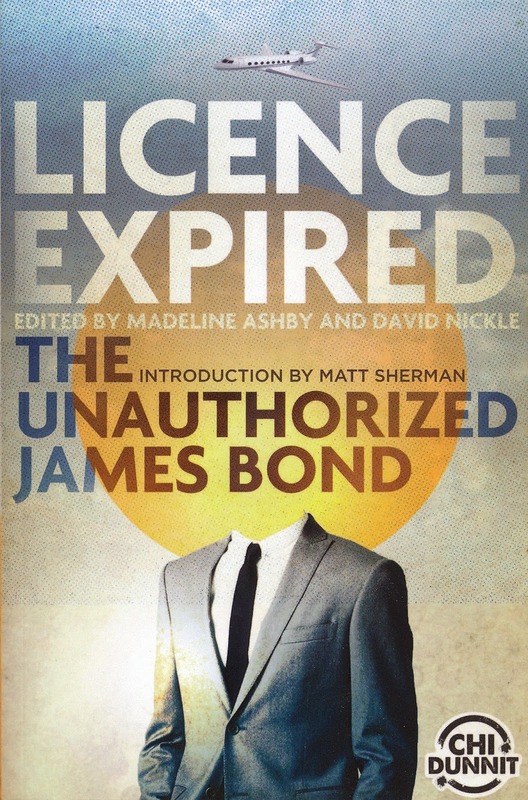 a book of 300 pages with 19 James Bond short stories to read. 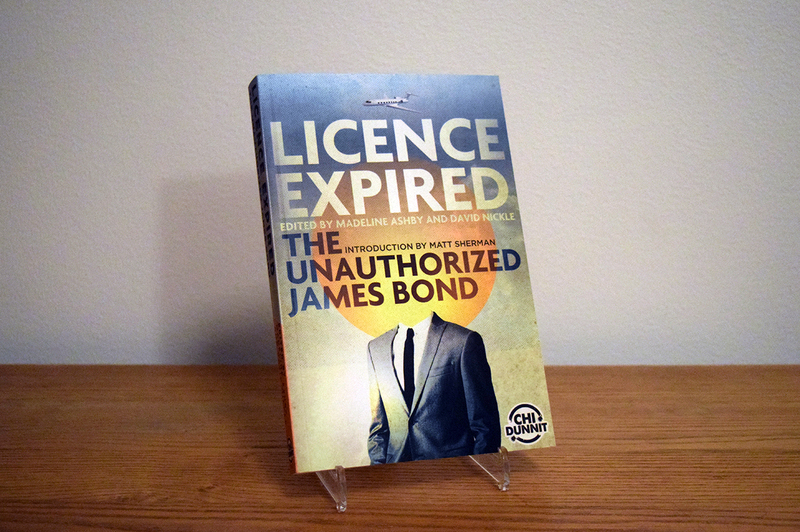 I am sad because this book came to life due to the fact that the James Bond novels has entered public domain in Canada. To be honest I know to little about the public domain issue for James Bond or other characters within books and film. I confess that I thought that estates had the copyright far longer then they seem to do. In my world it would be much easier if the copyright laws where those around the world as of where the author lived and was registered. 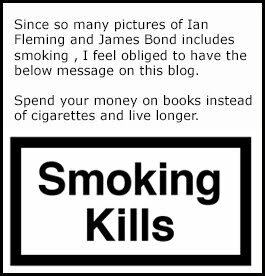 As Ian Fleming and Great Britain. In this case the rules for Great Britain should be obeyed across the globe. And when it comes to other authors should there country of origins rules should be obeyed. But what do I know? I am surprised that Ian Fleming Publications has not acted on this book release yet. Since I work with film distribution I know that publishers wish to have a 100% secure case before they accuse someone. In this case maybe they feel that they will lose and therefore lets the book be released as quietly as possible. We will just have to wait and see what happens. Anyhow I do like the cover design for this book. It is printed as a large paperback and is just as soft as the Proof copy of TRIGGER MORTIS from the US. There are 20 stories inside and a few of them are written by females which is interesting since this has never been done before. I have not read the book when I write this blog post but hope to get to it soon. When Madeline Ashby and David Nickle asked people for submissions for this book they had a few rules that needed to be obeyed. Submissions needed to be sent in before June 1, 2015 and was not allowed to contain more then 5 000 words. The writers that were published was then offered 6 Canadian cents per word. This book will only be sold in Canada and therefore I believe it will be quite hard for all the collectors to get one. But if you really want one it is not that hard. The book is being offered on Ebay right here! If you live in Canada and wish to order the book you can do so here! If you wish to know more about how this book came about you can check out Madeline Ashbys blog that contains a lot of info on this book.